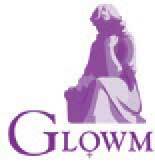 All the authors contributing to the The Global Library of Women’s Medicine are specialists in their respective fields. They have all been individually invited to contribute and they have all generously done so without receiving any fee or remuneration. In order to try and ensure a high level of accuracy all their contributions have been reviewed by another specialist before being made available on this site.